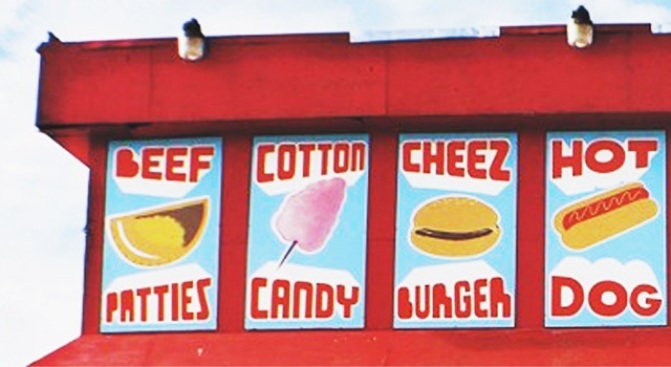 Erin Clark's "Snack Shop" makes you crave old Coney. OLD CONEY: Artist Erin Clark has an eye for the kitsch of her native NYC, and that's what makes her print "Coney Island Snack Shop" such a visual feast. It's an especially welcome boost of nostalgia now that Coney's Astroland is no more. The 55" x 40" print, reproduced in ink on canvas, has been issued in limited edition by cb2; it's available for $199 in-store and online. BLACK AND WHITE: There seem to be lots of options in silhouette-print notecards these days, but Jezebel's gorgeously elaborate designs win hands-down for whimsy: Here, a heavyset man (is it Balzac? Totally looks like him) wears antlers; there, an otherwise impeccably-decked art deco couple wears 1970s headphones. All fabulous, all made locally, almost nothing over $5. Head here for a list of stockists, including the New Museum and Greenwich Letterpress. THREAD COUNTS: Good bedding is touted as a luxury, but given how much time you spend wrapped in it, shouldn't it be more of a basic necessity? We thought so. Bloomingdale's is taking 45% off its bed linens -- from the likes of Calvin Klein, Donna Karan - through 6/28, in-store and online. PHOTO FINISH: Before Chelsea's wonderful Steven Kasher Gallery relocates (don't worry, it's within the building), they're holding a huge moving sale - and we mean huge literally and figuratively: Vintage prints from the likes of Henri Cartier-Bresson, Richard Avedon and others will be priced at half their original price. More information here. MODULAR: Earned a little Eames? Need some Noguchi? Seriously: Design Within Reach is having a Herman Miller sale, during which classic pieces from all the above will be discounted by 15% (which may not seem like much, but this stuff never goes on sale, people). Plus: Free shipping! Through 6/20. More information here.